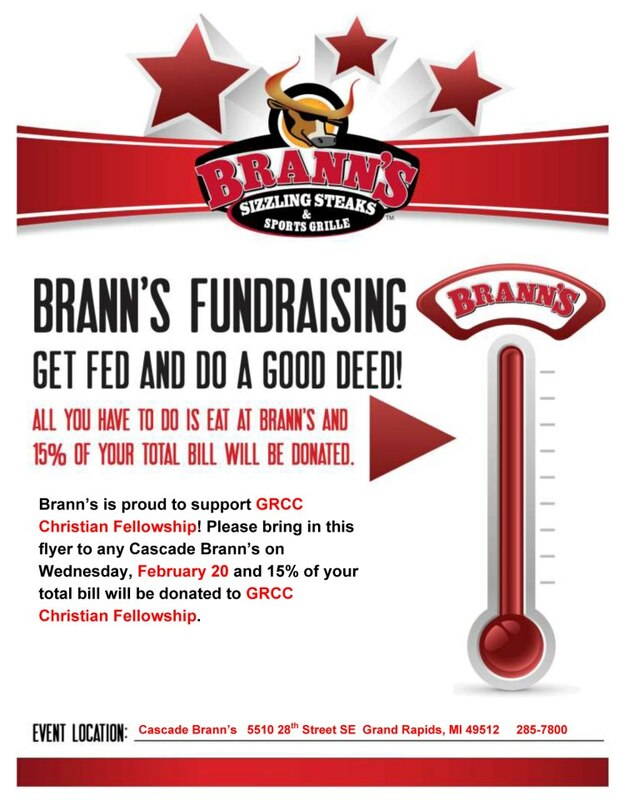 GRCC Christian Fellowship Students: The students are fundraising for a spring break trip to New Jersey to help with Hurricane Sandy relief (with two days of sightseeing in NYC). Saturday Feb 16 at 7 pm there will be a talent show at Redeemer Orthodox Presbyterian Church 8605 E. Fulton Ada, MI 49301 Tickets are $5. Saturday, Feb 23 from 2-4 pm at Rockford United Methodist Church there will be a Mary Kay fundraiser. 20% of the total sales will go toward the Spring Break mission trip! Rev Woong-Sik (Timothy) Chon will be speaking at Kendall College of Art and Design on February 7 at 11:30 am. Rev. Chon is the pastor of North Westminster Presbyterian Church in Lansing Michigan and an accomplished artist. Rev. Chon has an MFA from the Pratt Institute and a Master of Divinity degree from Union Seminary. He will be speaking on “The Visual Faith” and will share his story of how God been at work in his life as an artist and pastor. If you are interested in helping young adults transition into and out of college faithfully and well, please join us for “Companions in Transition”. This event, featuring Rev. Thomas A. Brown, is for campus ministers, pastors, church staff, elders, deacons and anyone else interested in helping young adults enter and finish higher education well. Join us Friday Feb 22 in Grand Rapids, Saturday Feb 23 in East Lansing or Sunday Feb 24 in Kalamazoo. For more information, click here. Steve Prince, artist, teacher, printmaker, speaker will be speaking at Kendall Christian Fellowship Thursday Sept 20 at 11:30 am and at Westminster Presbyterian Church Friday Sept 21 at 7 pm. Don’t miss this chance to hear a great talk on art, faith and social justice. The Kendall Christian Fellowship meets weekly on Thursdays at 11:30 am for study and fellowship. GRCC: True North is very glad to be collaborating again with the GRCC Christian Fellowship. Each group is different and unique, all are welcome to join us. Major specific small groups are forming now! ( i.e. groups for Occupational Therapy, Business majors, etc). If you are interested, contact Nancy! Student registration for the entire all day event is only $5. Or you may attend the free 7 pm evening session. Students who are interested in attending, please contact Nancy so we can sit together. If you need a ride or help with the cost, please let Nancy know. This event only happens every three years, don’t miss it!